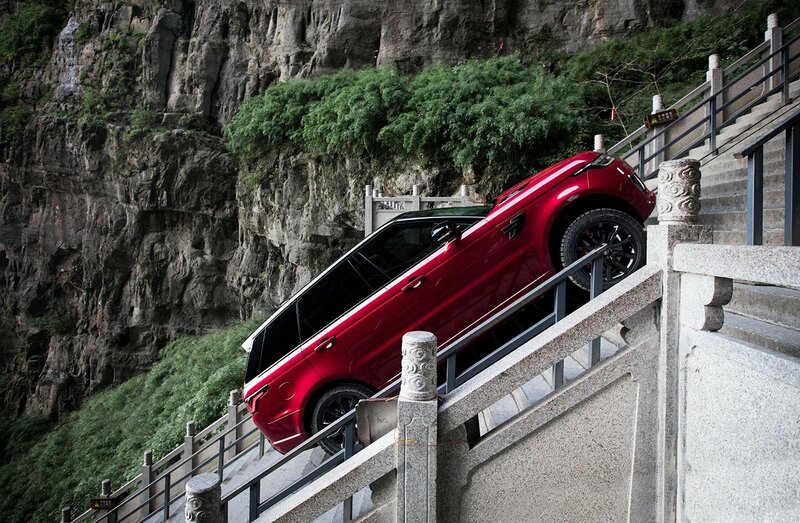 The Range Rover Sport from Land Rover is the first SUV to ever climb to Heaven’s Gate. 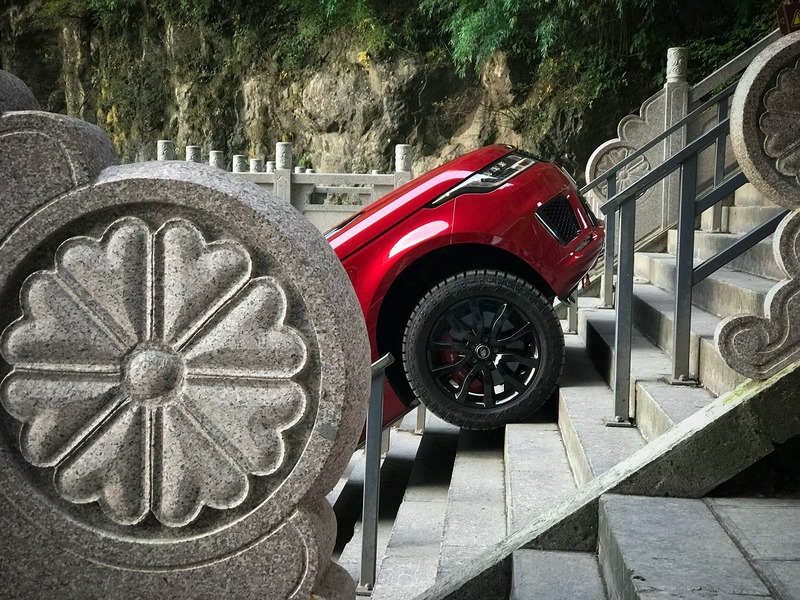 Taking on 99 turns and 999 steps, the Range Rover Sport has completed a world-first at one of China’s most famous landmarks, climbing the stairs to the natural rock arch of Heaven’s Gate. 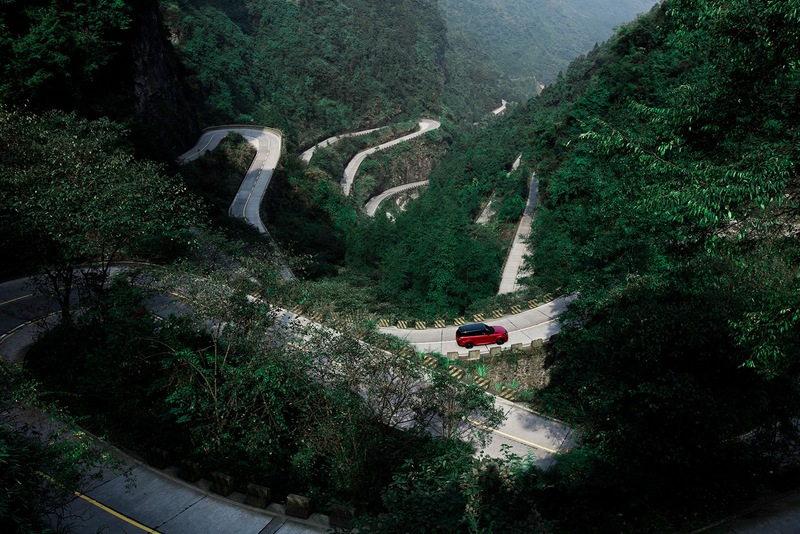 The “Dragon Road Challenge” started at the seven-mile Tianmen Mountain Road, which is also known as Dragon Road. For the task, the Range Rover Sport received reinforced tires, while Panasonic Jaguar Racing’s Ho-Pin Tung was the one chosen to pilot the vehicle. READ MORE: Dirt Dispute: Land Rover Range Rover or Mercedes-Benz G550? For the seven-mile trek across Dragon Road, the Range Rover Sport took advantage of its Terrain Response 2 system in Dynamic mode, and once Tung reached the summit of the road, he optimized Terrain Response for the second part of the challenge: climbing the 45-degree staircase of 999 steps. “I’ve experienced Formula E, Formula 1 and won at the 24 Hours of Le Mans but this was without doubt one of the most demanding driving challenges I’ve ever faced,” said Ho-Pin Tung. The Dragon Road Challenge is the latest adventure conquered by the Range Rover Sport after the plug-in hybrid model made its debut in a race against two-time open-water swimming world champion Keri-anne Payne and endurance athlete Ross Edgley in Devon, U.K. Previous challenges include a record-setting hill climb at Pikes Peak, a record crossing of the “Empty Quarter” desert in the Arabian Peninsula, and a 7,119-feet descent of the legendary Inferno downhill course in Mürren, Switzerland.